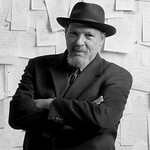 The Huntington continues its special relationship with two-time Pulitzer Prize-winner August Wilson with our presentation of his early play, Jitney, newly revised by Mr. Wilson. Jitney tells the moving story of the conflict between a father and son who confrton each other after years of separation. Set amidst a group of unlicensed cab drivers scraping together a living in Pittsburgh's Hill District in 1977, Jitney was originally written before Wilson gained notice on the national theatre scene. Filled with a young man's energy as well as the richly detailed characterizations of a great writer in his prime, Jitney moves in just over two hours to a powerful, poignant conclusion.